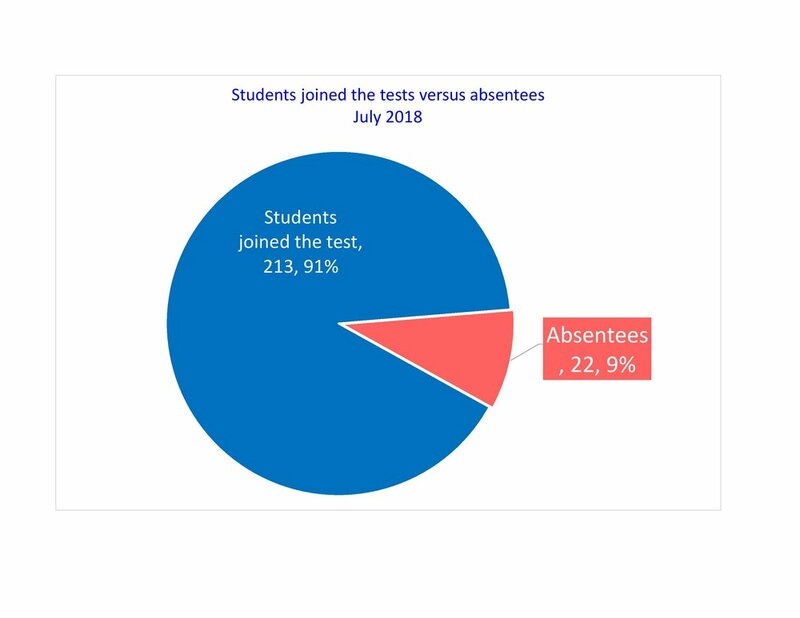 The following are the statistics indicator records and test record of students as well as absentees. 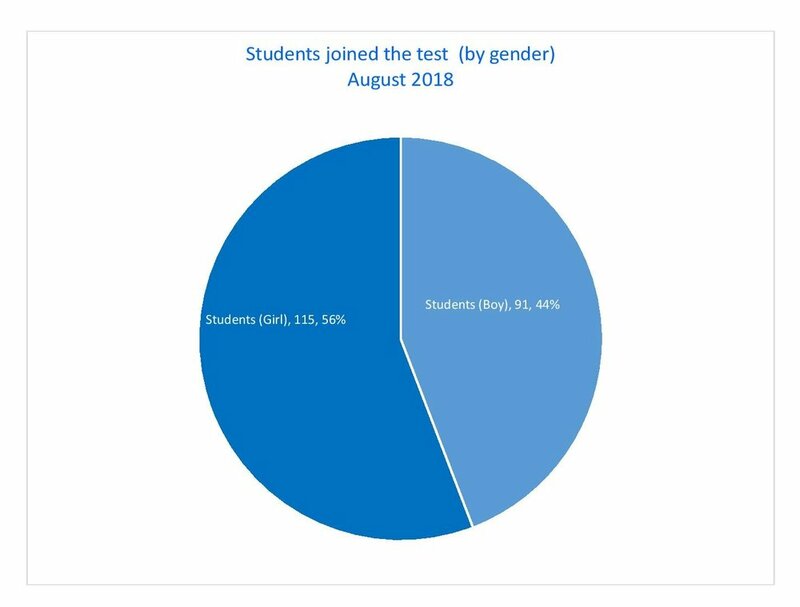 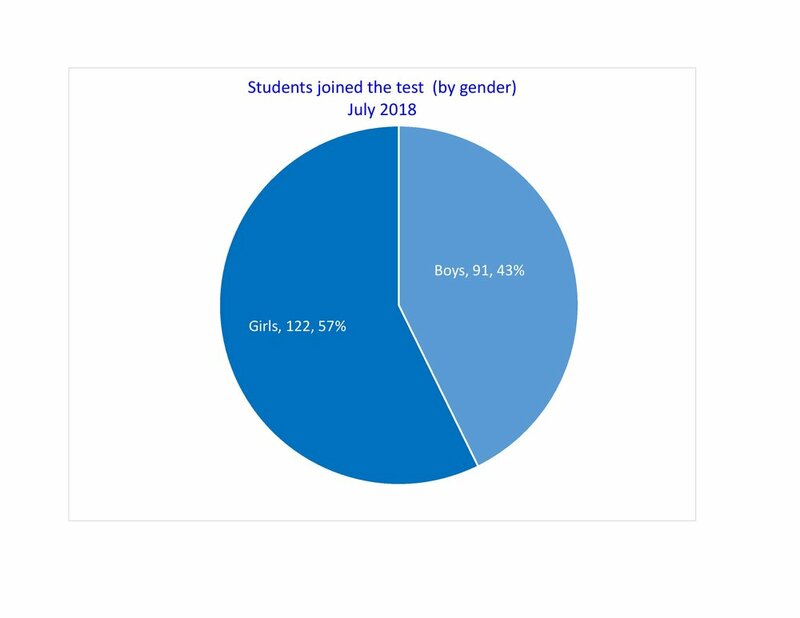 The charts show the students knowledge test record with gender, subjects and levels. 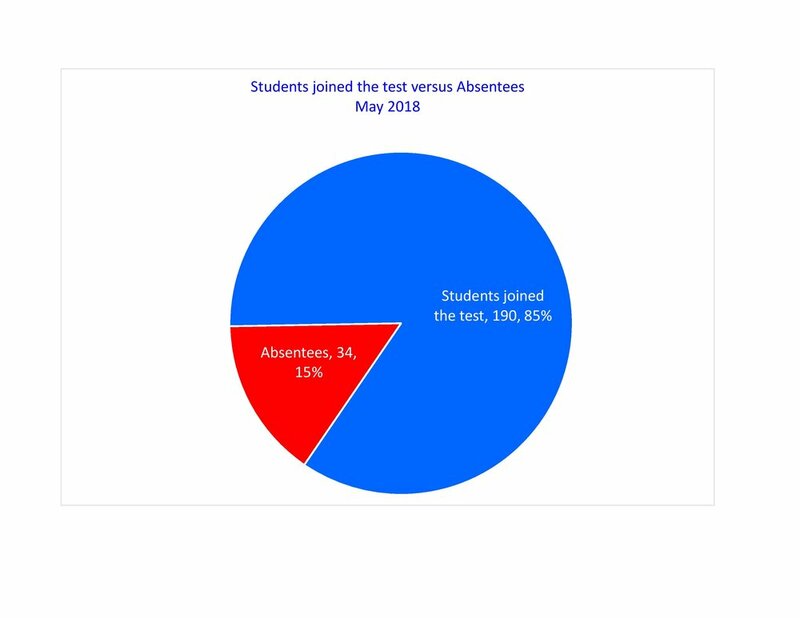 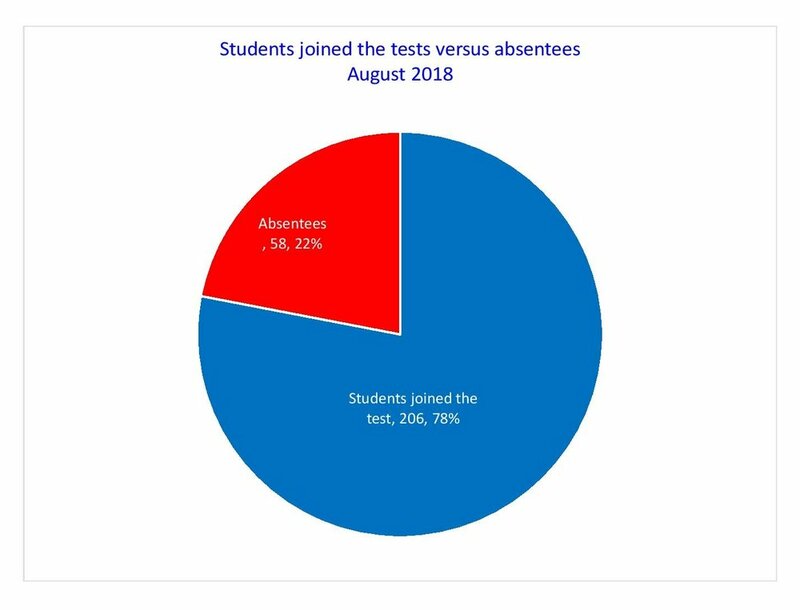 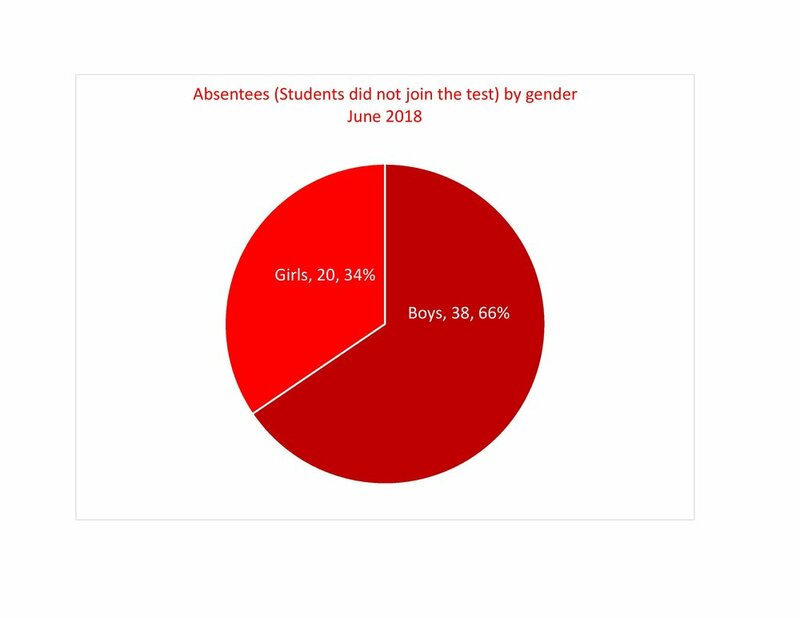 The chart also show the number including percentage of absentees by number and ages . 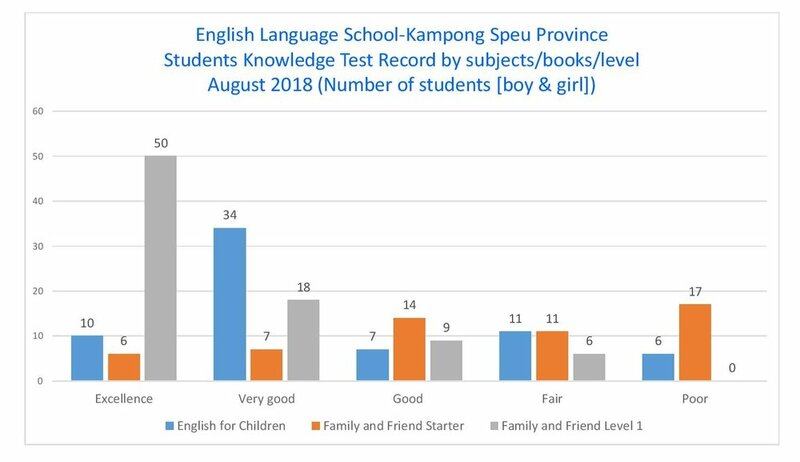 We use books including English for Children and Family and Friend Starter & Level 1. 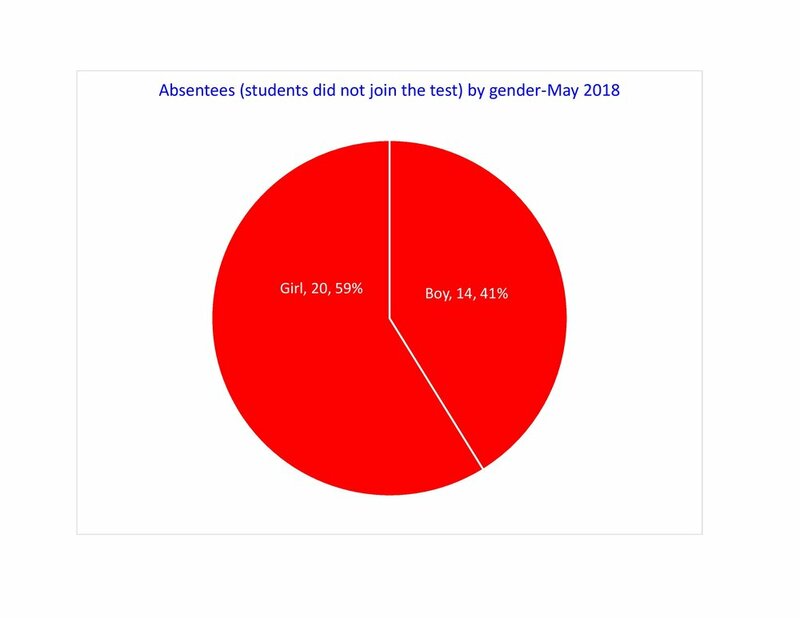 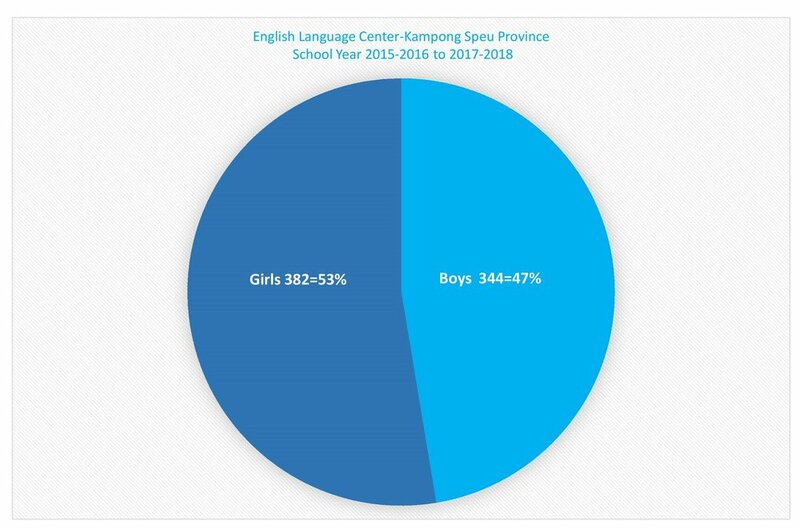 Statistics Records from School Year 2015-2016 to 2017-2018.